Lingering effects of hospital closures and rehabilitation site terminations, and a goodwill impairment charge, weighed on Kindred Healthcare's financial performance in the final quarter of 2017. The long-term care and home healthcare provider recorded a $135 million loss from continuing operations in the fourth quarter of 2017 on just under $1.5 billion in revenue, wider than its $1.9 million loss at the same time in 2016 on $1.5 billion in revenue. During that time, the company's operating expenses increased more than 18% to $1.6 billion. Louisville, Ky.-based Kindred attributed its 2.3% year-over-year revenue dip for the quarter to the closing of seven long-term acute-care hospitals and more than 100 RehabCare sites in 2017. The company's earnings before interest, taxes, depreciation and amortization dropped to a loss of $193 million in the fourth quarter of 2017 compared with a positive EBITDA of $89 million at the same time in 2017. 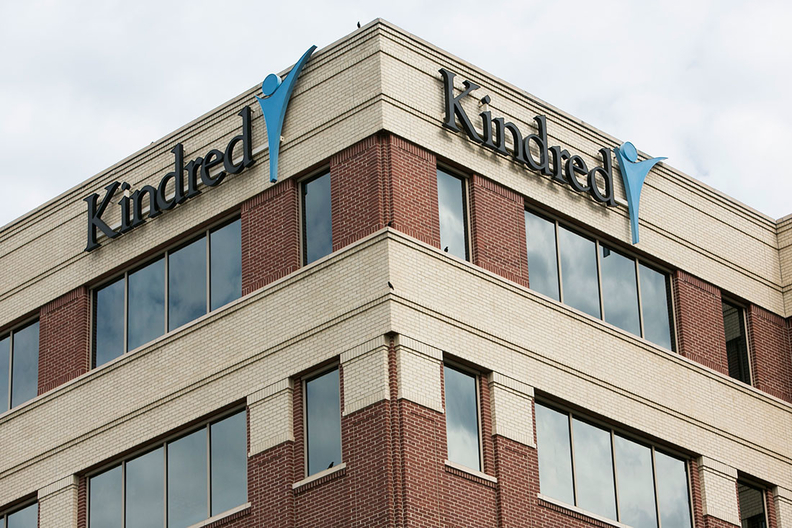 Kindred said its lower EBIDTA and operating loss was primarily due to a $241 million hike in impairment charges and a $41.4 million increase in restructuring charges. Like Community Health Systems, Kindred recorded a goodwill impairment charge in the fourth quarter, in Kindred's case a $236.3 million adjustment to the value of its hospital division. Overall full-year revenue in 2017 was down 4.1% in 2017 to $6 billion compared with 2016. Kindred said factors affecting revenue included the sales or closures of 22 hospitals since the third quarter of 2016 and the RehabCare closures last year. Kindred announced in December it will be acquired by health insurer Humana and the private equity companies TPG Capital and Welsh, Carson, Anderson & Stowe for $4.1 billion. The deal will divide Kindred into two companies, with the equity firms assuming control of its long-term care hospitals and inpatient rehab facilities. The three entities will jointly operate Kindred's home health, hospice and community care businesses, in which Humana will own a 40% stake and the investment firms the remaining 60%. Kindred CEO Benjamin Breier wrote in a statement that the company's fourth-quarter performance reflects its continued strategy. "We are pleased to be moving forward with the consortium and look forward to completing the merger," he said.